If you go, Phoenix is the installation you must see. 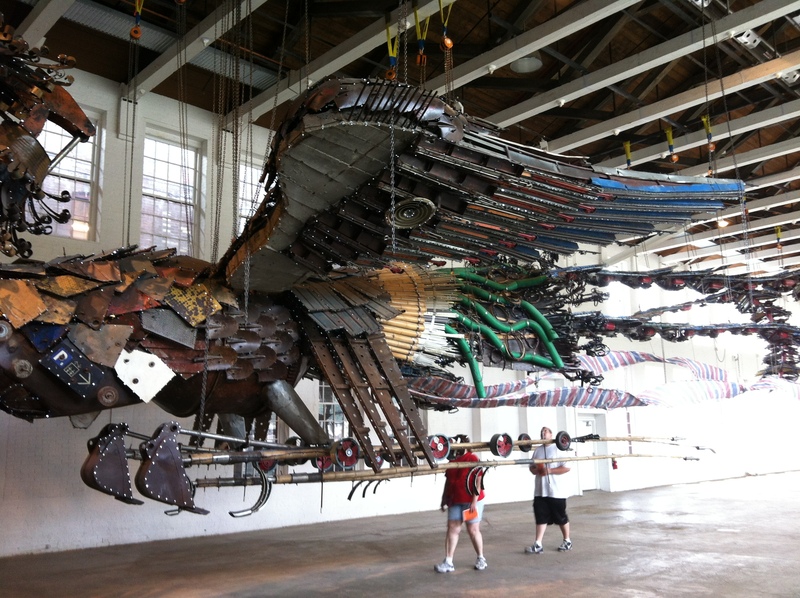 From the MASS MoCA website “The installation features two monumental birds fabricated entirely from materials harvested from construction sites in urban China, including demolition debris, steel beams, tools, and remnants of the daily lives of migrant laborers. 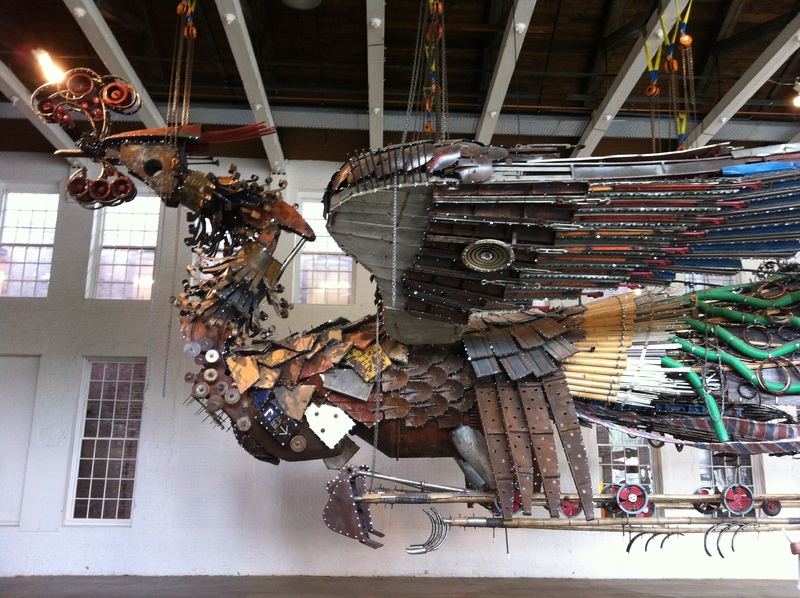 At once fierce and strangely beautiful, the mythic Phoenixes bear witness to the complex interconnection between labor, history, commercial development, and the rapid accumulation of wealth in today’s China.” The work was originally commissioned by a real estate developer in China. The work proved controversial, the funding was cut and other sources of support had to be secured. Each Phoenix is nearly 100 feet long and the two of them weigh over 20 tons. Phoenix was scheduled to take four months to complete. Due to several factors including the Beijing Olympics, the global financial crisis and the rejection by the real estate developers who commissioned the work, Phoenix took two years to complete. The Artis Talk video inside the the MASS MoCA link above gives you a sense of the artist along with an explanation of his art. The Phoenix is something to behold. Trash from the construction site, workers shovels, construction hats and empty canisters and so many other remnants form two beautiful birds. They are internally lit with LED lights. Single photos do small justice to the exhibit. 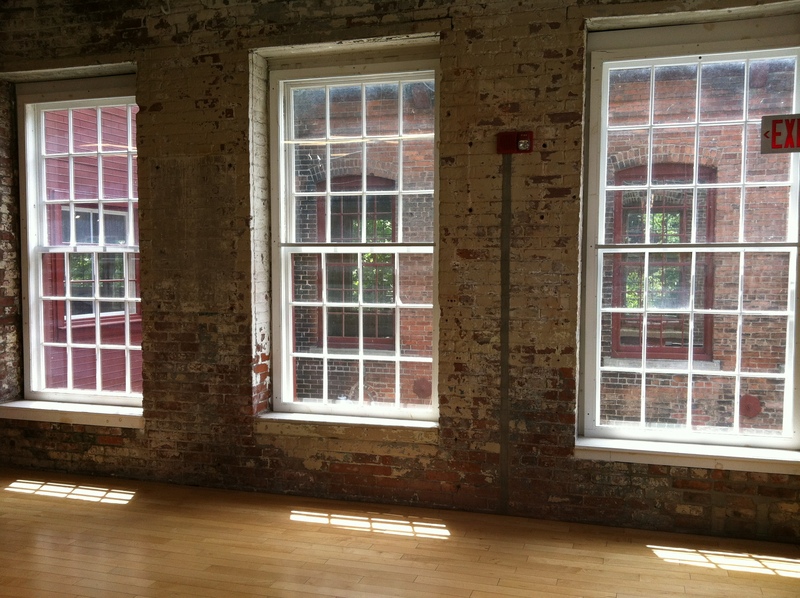 Phoenix and MASS Moca are both something to be seen. 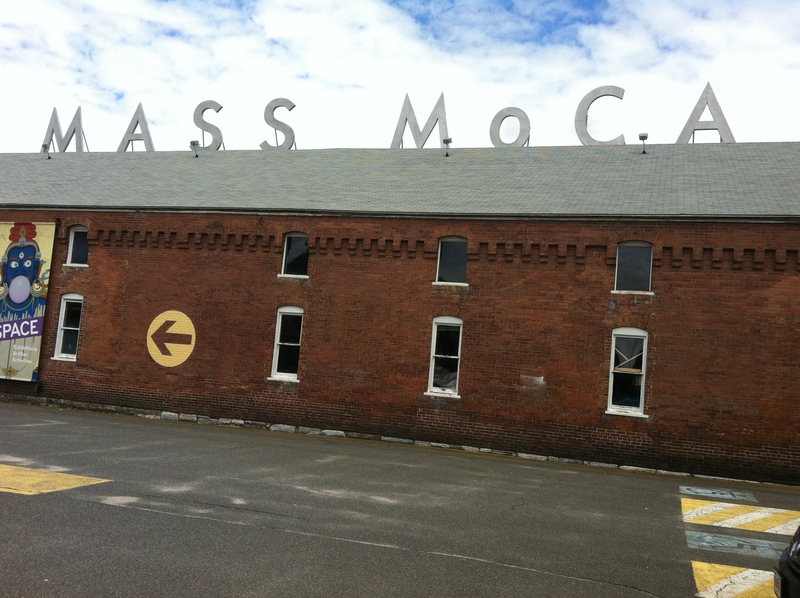 If you have occasion to be anywhere close to North Adams MA, USA, a visit to MASS MoCA will not disappoint. Those are quite the birds. What was controversial about them? Did they say? From what I can gather, the powers that be did not appreciate the link between the workers’ working conditions, their lives and the prosperity inherent in the building complex. 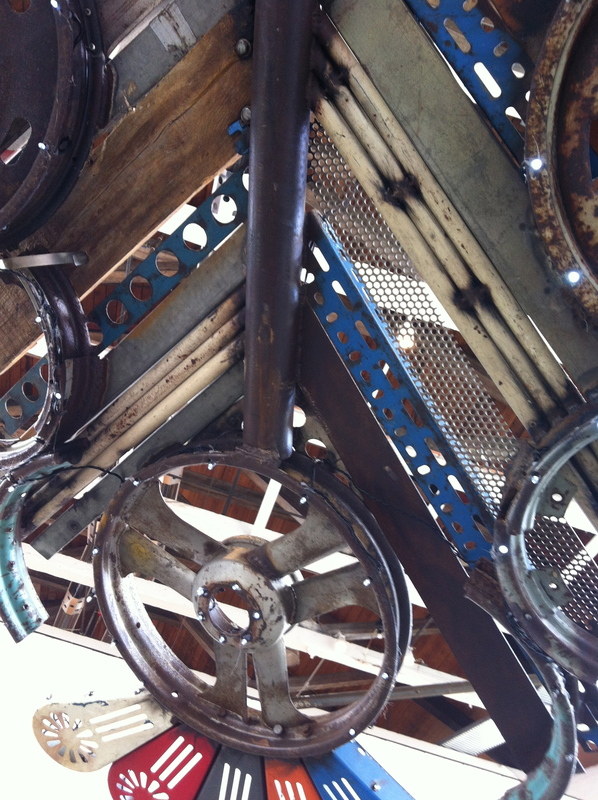 The use of materials from the construction site was originally approved but then not approved. 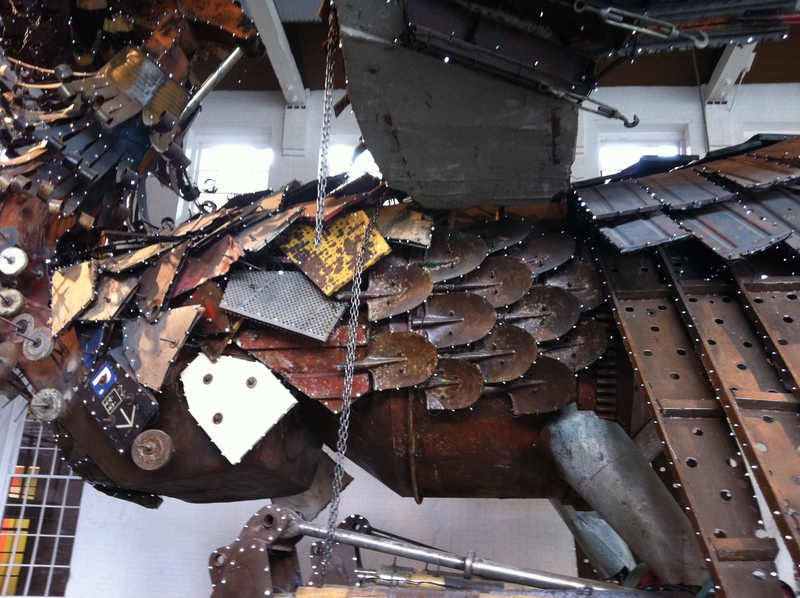 They told the artist they would accept the artworks if he encrusted them in crystal. He didn’t. Sounds par for the course.